The amber waves of US grain will catch fire this summer in a repeat of the Russian grain belt’s blazing drought of 2010. The winter that never was will morph into the bummer of “sprummer” – a spring that once again comes early and with record-breaking summer temperatures. Then follows another summer with sustained triple-digit heat waves across the eastern US, but there’s a difference. The Mississippi floods of 2011 become a Mississippi Valley drought not seen since the early 1980s… Spring and summer elsewhere will also become terribly hot and dry in central China, India and Southern Europe. The last article posted was 23 June 2012. I have been preparing material and traveling to film guest appearances on television prophecy documentaries in Los Angeles and recovering from a 10 hour filming marathon held at my house for a third TV documentary. As it stands now I am either negotiating for – or, in production and postproduction with – five new documentaries in 2012. These include six television appearances, one two-hour special and two episodes of a new series. For a number of these my material is the foundation for the television shows. I am under contract, so I cannot share more details until airtime is close. Members of my free newsletter list will be the first to know. I can say that you will see me cover a lot of new subjects this autumn of 2012. One of the shows airs in 2013 and looks beyond the 2012 Maya hysteria. I am happy to announce I will be appearing at the Conscious Life Expo at the LAX Hilton in Los Angeles 5-7 October 2012. I hope to have a seminar and lead some meditations based on the theme of my newest e-book that is still under construction. You can read about it as well as the update of an e-book about an oncoming war with Iran by clicking on 2012. I write today’s article from the relatively cool Pacific Northwestern corner of the United States reflecting what my Oracle predicted at the end of last year about a super heat wave hitting the central plain and eastern coast states of America. The Oracle confessed that it was America’s turn to feel the heat of Mother Nature’s ire at our abuse with the same kind of scorching, lingering cut-off high-pressure systems perched all summer of 2010 over Russia. 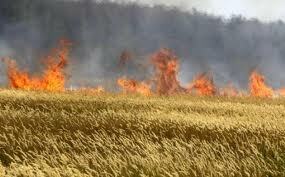 The hot sun literally set Russia’s wheat fields ablaze in 500 major fires across its grain belt regions that either dried out or flamed out one fifth of the grain crop. Now it seems that two-thirds of the United States will wilt and feel the lingering heat of a super drought in the summer of 2012 as foreseen in the opening prophecy above. This is the second temperature tsunami of the year. The first happened with historic record-breaking heat waves across the central, southern and eastern US states in March. Though temperatures moderated in April through May, they remained generally and consistently above normal in those areas. Temperatures launched once again in mid-June to capture and pass records before abating somewhat this weekend in early July. In two weeks of extreme heat suffered across the eastern two-thirds of the United States 66 people died. Saturday (7 July) alone tallied 200 heat records and 10 all time heat records. 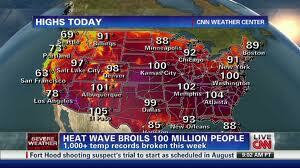 In two weeks and across 36 sweltering states, 292 all time, triple-digit records were broken. By Sunday, Washington DC was in the oven of its forth straight day above 100 degrees – also a record. The last 12 months in America have been the hottest ever recorded since meteorologists began documenting national temperatures 140 years ago. At the end of Cancer so great [is the] drought. Bearn, Bigorre [Southwest France] in distress from fire in the sky. Line one describes a latitude that draws a line across most of the golden belt of grain feeds humanity. Because Nostradamus used maps that only had latitudes and no longitudes, there was some variance to what the latitude might cover. That is why in his notorious prophecy about the 9-11 terrorist attack his reference to the New City of New York attacked by fire in the sky at latitude 45 degrees was a few degrees off the actual position of New York, which actually sits just below 41 latitude. He may have been poetically describing the smoke and fire belching impression the airliner left after crashing into the North Tower of the World Trade Center, which was set in a 45-degree angle. In the case of this vision of a great drought across latitude 48, we can spread the influence of his latitudinal line to include covering a broader swath of the world’s earthly, wind whipped oceanic waves of corn and grain across Manchuria (China), Southern Siberia and European Russia, the golden fields of the Ukraine and Poland. Westward it draws itself over the granaries of Germany, France, across the Atlantic marking a line over the richest grain belts on Earth in the northern plain states of America and across the flat, flaxen fields of bread basket Canadian provinces of Ontario, Saskatchewan and Alberta. 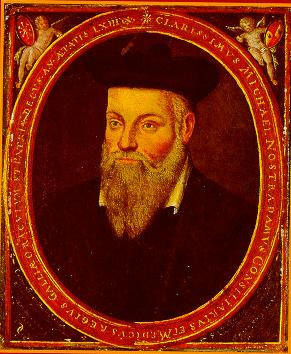 Nostradamus the astrologer dates his prophecy in line two coming at the “end of Cancer”. This is the time the Sun passes out of the Sign of Cancer around 22 July. The Great Russian Drought of 2010 was at its height then. Perhaps Nostradamus anticipates an even greater heat wave to beset the Mississippi Valley the end of this July in 2012. Cancer is also the birth sign of America. It was reported this week on US news outlets that many lakes across Wisconsin were suffering a dying off of fish succumbing to heat exhaustion from water temperatures becoming too hot. It is common to see fish rush about hectically near the surface of overheated water in a death dealing panic; however, the final line expands the vision to encompass more than fresh water but salt water fish in the sea, indicating a heating up of Earth’s waters one might expect coming from a global warming temperature cascade. Nostradamus is best at seeing the world through the experiences of future French people. He describes the worst effect of fish boiling and dying off in the sea off the coast of Southwest France, near the popular vacation beaches of Biarritz, the “cooked” fishy carcasses washing ashore that bathers might discover and poke with curious toe, are victims of a larger, global phenomenon. I predict these super heat wave events are not some rare anomaly. This juggernaut of rising temperatures began in the year “98” (a year Nostradamus may mask in the quatrain’s indexing above). The year 1998 was only the first of nearly every year since that has bested the last in breaking records of aggregate average temperature rises across the planet. Heat stunted grain this year will lead to stunted sustainance and the kind of skyrocketing food prices that launch revolutions. 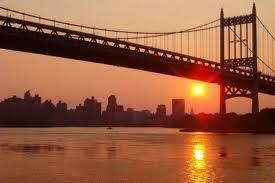 You will see these heat wave events increasing frequently. They loiter over and threaten the central continental areas while the shores of the continents suffer great deluges. You readers of Hogueprophecy living in Florida and around the Krasnodar region of Russia have survived what I am talking about. Topical Storm Debby buried you in flood waters for a week of monsoonal rain across the Panhandle to Central Florida. Overnight last Saturday, a cloud burst coming off the Black Sea let slip a wave of water across the Krasnodar region from an 11-inch downpour, sending wide raging floods through the resort city of Krymsk, claiming nearly 200 lives. What happened in the central Eurasian continental zones in 2010 causing Russia’s great drought, are not isolated events. Where there is extreme drought there will be extreme flooding as Nature dehydrates and sweats out her global warming fever upon us. When Russian fields were ablaze, Pakistan in 2010 suffered the first of a string of catastrophic monsoon floods that displaced 25 million people living along the Indus River Floodplain. In 2011, another 8 million were displaced by the sky opening up in one night of monsoon flooding rains. A third of Thailand was under water in 2011 making Bangkok an Asian Venice for two months. Drownings on the edges of continents, firestorms in the interior. The Western US states along the Rocky Mountains are ablaze right now, especially in hard hit Colorado. Record heat waves have and will continue to blast furnace the Rocky Mountains and central North American plains, placing and locking in eastern regions of North America inside a humid sauna of high pressure at least two more times this summer. Consequently, there will be violent floods from tropical and hurricane storms along the fringes of the Central American and North American regions that will rival the downpours of Pakistan in 2010 and 2011. 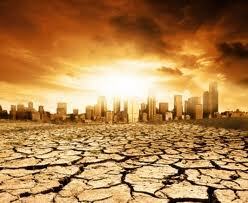 The new "abnormal" future awaiting us if global warming is not tempered by intelligent actions. What is happening across two-thirds of America right now will happen again in the end of July and linger through August: a heat wave that will damage crop yields in the richest agricultural lands on Earth. Therefore, food prices will rise and with that increase will come desperation in households across this planet that cannot afford their life giving food to exceed an ability to meagerly scratch out a living. 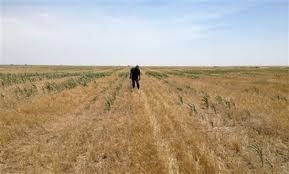 The crops damaged by a great drought of 2012 in the North American breadbasket will be the cause of social upheavals and revolutions around the world in the late winter and early spring of 2013. The spark was Russia last time. When Russia lost a fifth of its grain in 2010, it suspended export to feed its livestock for meat, poultry and dairy industries. That grain usually went to feed hundreds of millions living in North Africa and the Middle East. Food prices there skyrocketed. If you review what happened and what I wrote about the “Arab Spring” revolution’s future (click on Egypt), I reminded my readers that what sent protesting millions into the streets of Cairo and Alexandria, Egypt, in Algeria, Morocco, Jordan, Libya, and where it all started in Tunisia was the crippling cost of grain. 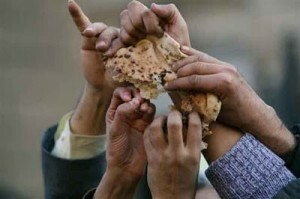 Food costs rising again because of grain stunting and killing heat waves across America may yet cause Egypt to wage a second revolution, this time fought against the Egyptian Junta and its army. The Egyptian elections held in June saw too many moderates running, thus diluting their political power, leaving the Egyptian people with only two extremes to choose from. Left standing in a final runoff election was the Junta’s favorite, Ahmed Shafik, a former prime minister under the deposed dictator, “General” Hosni Mubarak and the Muslim Brotherhood’s Muhammad Morsi. You lucky Egyptians could choose between a Fascist and a jihadist for your first ever-elected president. Morsi was announced the winner of a tight race, only after the ruling brass, a “transitional” junta of generals, had stripped the winner and Egyptian parliament of most of his powers. No one therefore is very happy with the results, secular moderate or Muslim. It is a mess! The birth chart of the Morsi government is a real shocker too. It will be the subject of the next article, unless something else either melts down in a heat wave or blows up in the world requiring my comment and prescient narrative. 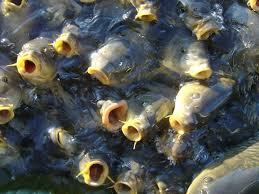 I will say this about Morsi’s regime. Astrologically speaking it makes me put my hands together over the sides of my face and exclaim, “Oh! Morsi, Morsi! Me! If for some reason you cannot leave your comments in the comments box below, just send them to me via the “Contact” email button and I will post them here. This entry was posted in Predictions for 2012 and tagged 1998, 2012, 9/11, Bangkok flood 2011, bread baskets, Century 6 Quatrain 98, climate change, Colorado fires, Conscious Life Expo, drought, Egypt, Egyptian Revolution, end of Cancer, extreme heat wave, global warming, grain belts, great drought, heat wave 2012, heat wave July 2012, Heat Wave March 2012, Hogue, Hogue TV documentaries, Hosni Mubarak, Islamic Brotherhood, jihadist, John Hogue, Krasnodar flood, Krasnodar floods 2012, Krymsk, latitude 45 degrees, latitude 48 degrees, Mayan Calendar, Middle East, Mississippi, Mohammed Morsi, Morsi, Muhammad Morsi, Nostradamus, Nostradamus predictions, Nostradamus prophecies, Nostradamus: 2012, Pakistan flood, prediction, predictions, predictions for 2012, President Morsi, prophecies, prophecy, prophet, Russian drought, Tropical Storm Debbie. Bookmark the permalink. Post a comment or leave a trackback: Trackback URL. years. Oz will go as does the rest of the West. Comments? Where exactly in Nostradamus prophecy Egypt is mentioned during and after Jan 25th revolution please, it was said the name Morsee was mentioned in his manuscripts, yet I did fail finding it mentioned clearly. Would you be kind enough and share this part please? It was said by “who”, Carl? A lot of people play “Nostradamus says”. Some of them even presume to write books about it. One has to have a foundation in 16th-Century French and be able to check all interpretations of his verses from the original manuscripts. You’d be amazed how many so-called Nostradamus experts only rely on bad translations passed down from bad to worse books as the basis for their “authority.” Fortunately Nostradamus indexed all of this verses so if you can tell me which verse spoke about Morsi (Morsee) I can then check the translation and answer your question. Looking forward to the Morsi Projection. Hi Joshua, me too. I left up this blog a long time because its news cycle, what with the heat wave record temperatures, was half a month long. 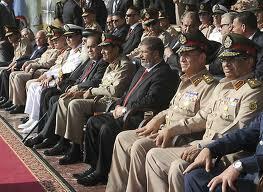 I will be looking over the chart of Morsi’s presidency as soon as there is a avenue to do so. For instance the next blog is chock full of news that covers the Batman massacre, the bombing of the Syrian security inner circle of Assad, the bombing of an Israeli tourist bus in Bulgaria (does this mean war with Iran?) and the widening extent and potential damage to the bread basket of the world coming from the widening super drought over North America. Finally I look at the link all of these unnatural and inhuman events have to a collective vision of mostly native traditions around the world that foresee a coming collective mind plague. We enter the peak part of this in 2012 and it goes on for decades. Years ago, when I started learning about Nostradamus, I read so much about him, the more I found/read the more intrigued I became. Before the 9/11 attacks (which were also prophesized) and after the death of Princess Diana…I came across the French to English book. I had taken French in school, and for some reason, became adept at only one semester of French. I can’t recall, but in one of the Quatrains, it refers to ‘the hunted’…in French. Princess Diana was certainly ‘hunted’ there was more that seemed to corroborate this. Are you familiar with this? I want to thank you for including me in your HogueProphecies. There are a lot of bad translations of Nostradamus out there. It is always good to go back to the old French source and build translations from it.